Sony has skipped pre-order on its Tablet S and it is now on sale in Germany just one week after it was announced at IFA Berlin. Tablet S and Tablet P will not ship in the United States until September 16. 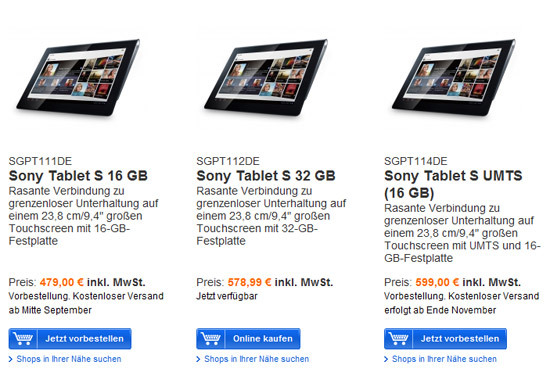 The 32 GB Tablet S is selling for €578.99 according to the Sony Online Store in Germany. On the other hand the 16GB model will not be available until mid-September. It will be even longer until the 3G version sees the light of day. 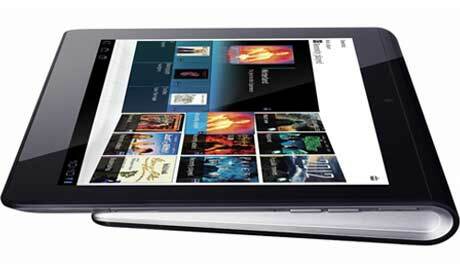 Currently, the Sony P Tablet can only be pre-ordered and will run you 599€.